With soft sand beneath your feet, sparkling blue water beckoning, and lush green mountains rising up behind you, Puerto Vallarta is a gorgeous choice for a beach vacation. In addition to beach paradise, this jewel of the Pacific offers vibrant culture, abundant activities on (and in) the water, and a dazzling array of on land activities to keep you entertained. 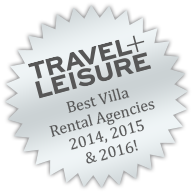 The Time & Place luxury villas in Puerto Vallarta are some of the best value luxury vacation rentals in our portfolio. For beach lovers, the golden sands await. Lounge on one of the many beaches that encircle the Bay of Banderas as you enjoy a cocktail and the lull of the waves. With so many different beaches you’ll gladly accept the challenge of finding your favorite Puerto Vallarta beach. With some of the best snorkeling and scuba diving in Mexico, this is the time to pick up a mask if you’re a beginner and we’re certain that seasoned divers will be thrilled at the prospect of diving here. Adrenaline-filled activities like jet skiing, kitesurfing, deep sea fishing, and more can also be easily found. If you happen to be visiting during whale watching season (December through March), keep your eyes peeled for the humpback whales that pass through here and the many dolphin pods that frequent the area year-round. Back on land, Puerto Vallarta offers something that many beach destinations just can’t compete with: mountains. The impressive Sierra Madre range wraps itself protectively around Puerto Vallarta and provides both a natural barrier against wind and climate fluctuations, as well as a haven for adventure. Tour the lush surroundings on horseback, aboard a luxury off-road vehicle, or pack up for a fun hike or mountain bike ride. Back in town, you’ll find Old Town Puerto Vallarta is charming with cobblestone streets and historical architecture, including the Church of Our Lady of Guadalupe which features prominently in the city’s skyline. Browse the markets and vendors that line the streets and indulge in fresh-caught seafood for lunch or dinner. The dining scene in Puerto Vallarta is becoming legendary and won’t disappoint those who are used to dining in more cosmopolitan cities. Try dishes influenced by the ancient native culture or opt for haute cuisine that would be at home in any ritzy restaurant in the states. Whether you crave a relaxing vacation full of beach lounging, cocktail drinking, and sun bathing, or one with exciting adventures and unforgettable experiences, Puerto Vallarta delivers! For an once-in-a-lifetime encounter, charter a private boat to catch an up-close glimpse of the magnificent humpback whales that descend upon the area every December. The only thing more relaxing that a day spent at the beach is a refreshing spa treatment or decadent massage. We’re happy to arrange in-home appointments with top providers. If the mountains are calling to you, why not take a private Jeep tour of the verdant Sierra Madre Mountains? Stop in quaint villages or enjoy a delicious picnic along the way.